Q. How Do I Limit to Peer-Reviewed Articles in Compass? 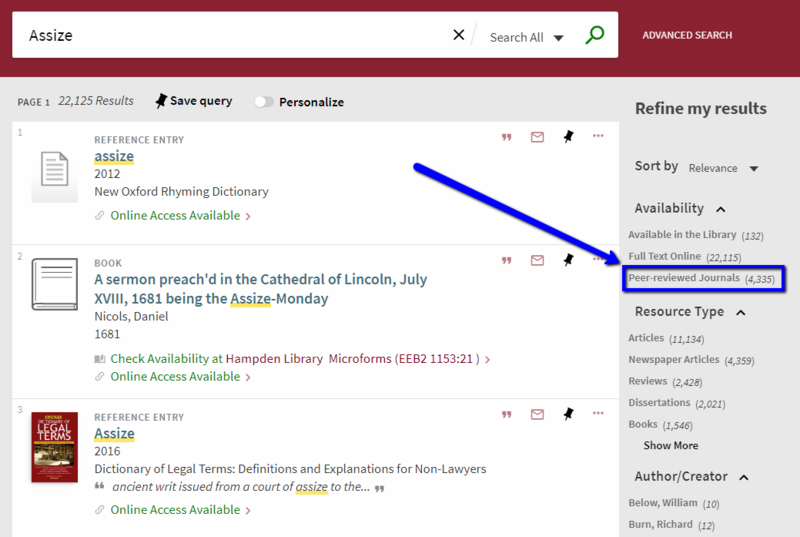 Professors love this one simple click in Compass that will limit your searches to items from peer-reviewed journals! After clicking on this link, your results will repopulate to show peer-reviewed items only. Your selection of "Peer-reviewed journals" will then appear in the list of "Active filters." If you try new search terms, your active filters will reset by default. 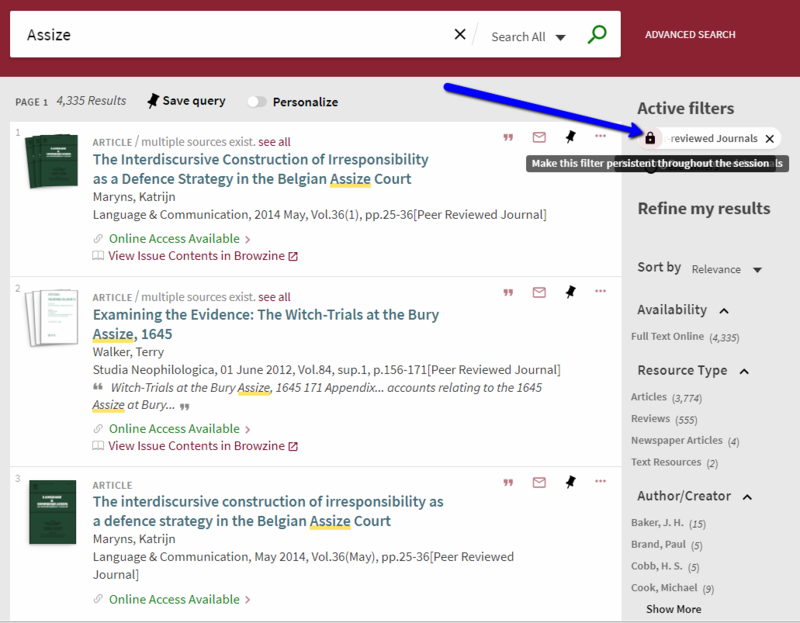 If, however, you'd like to maintain your "Peer-reviewed journals" filter, hover over the setting and click on the lock icon that appears. Your locked filters will then remain persistent throughout your library search session.